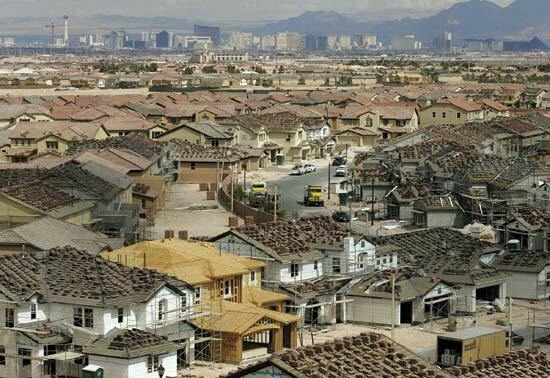 Once home to soaring prices in the midst of the housing boom, Las Vegas has now had declines for three straight years, and is by far the weakest market in the country according to an article in the New York Times. Twelve of the cities in the index went up in January from December. Los Angeles was the biggest gainer, up 1.7 percent. Chicago was the biggest loser, dropping 0.8 percent. With the January 2010 data now published, it is possible to track the best and worst cities to have owned real estate over the century’s first decade. The three best cities are no surprise: Los Angeles, New York and Washington. All are more than 70 percent above their level in January 2000. Anyone who bought in Las Vegas would have lost a few dollars after paying their agent’s commission. But the worst-performing city in the index was Detroit, which ended the decade 28 percent below where it began.